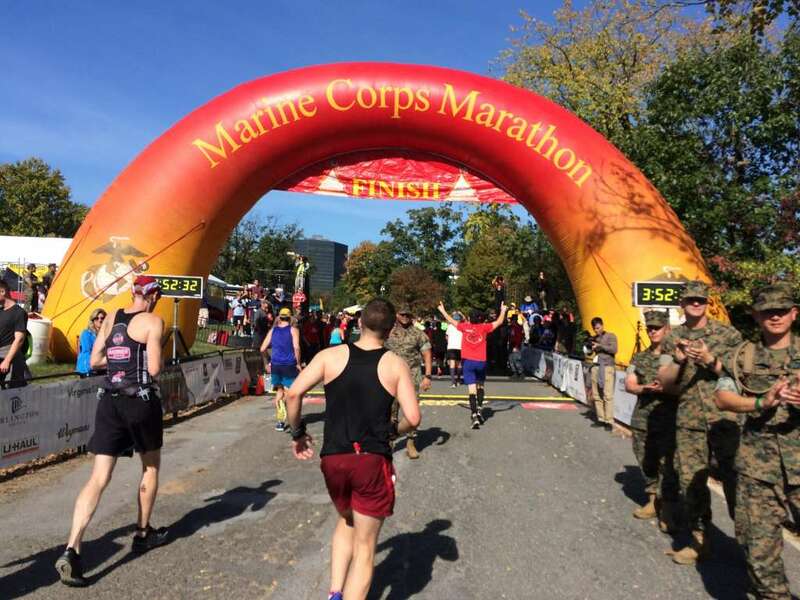 The Marine Corps Marathon returns to Arlington next Sunday (Oct. 28), likely bringing over 30,000 runners to Arlington and a resulting tangle of road closures and transportation changes. The opening ceremonies for the marathon will be held at 6 a.m., followed by the wheelchair and handcycle race starting at 7:40 a.m. Races will continue throughout the day until 3:10 p.m. Award celebrations are scheduled to continue until 9:30 p.m.
Street parking near the race will be restricted and motorists should keep an eye out for temporary “No Parking” signs. Use of rideshare and public transportation is encouraged. Metrorail will open at 6 a.m. for the race, two hours early, and run extra Blue and Yellow line trains. The closest stop to the race will be the Pentagon station, which will be exit-only until 8:30 a.m. According to an Arlington County press release, the following roads will be closed for the race. 5:00 AM-4:30 PM Army Navy Drive from S. Fern Street to 12th Street S.
6:00 AM-4:00 PM Crystal Drive from 12th Street S. to 23rd Street S.
A map of the course, as well as additional race information, can be found at the Marine Corps Marathon website.